Since sweater weather is finally upon us, I thought I’d do a little roundup of the sweaters and accessories I’m wearing most often! I know there’s not much time between now and the gift-giving season, but I don’t plan to give handknit gifts – I’m too selfish of a knitter! Instead I’d much rather work on a new sweater or two for myself. I tend to overheat easily, so I kind of like this cool, in-between weather where you don’t *have* to wear a down-filled parka just to survive. It’s the kind of weather where I can wear my thickest sweaters on their own, and don’t have to worry about whether I’ll overheat with a coat on top! I’ve been wearing my Innisfil sweater a lot as a jacket. The yarn (Blue Sky Alpacas Worsted) is nice and chunky, half alpaca half wool (so it’s really warm) and has a nice big collar. Clearly I love cabled-back sweaters! And I love this wrap sweater so much that I’m currently working on a little collection of several different types of wrap sweaters. I’m hoping to have that ready in the new year! For accessories, I pretty much always reach for my Wychwood shawl, in black cashmere. It’s just so wearable, goes with everything and is SO soft and cozy. 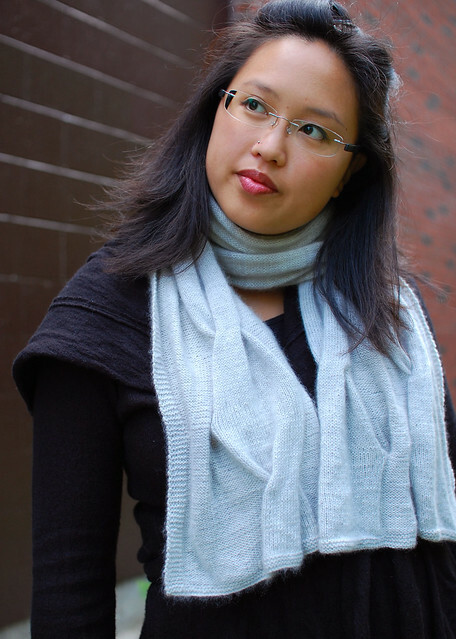 When I want a rectangular scarf, I go for Ashworth – again, in a neutral colour it goes with everything, and cashmere! It’s a little bit on the shorter side, which I like for crossing and tucking the ends under my coat. I have a tough times with hats, because I wear my hair in a bun or ponytail a lot…and because I’m just not really a hat person! I’m also a bit of a delicate flower sometimes, particularly when it comes to fibres that touch my face/forehead. 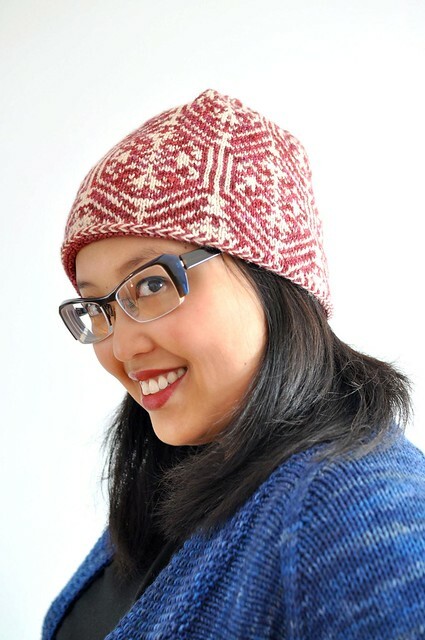 I do love my Lamplight Hat – I wore it yesterday on a walk but ended up taking it off because I was overheated! I’m sure that won’t happen once it really gets cold. 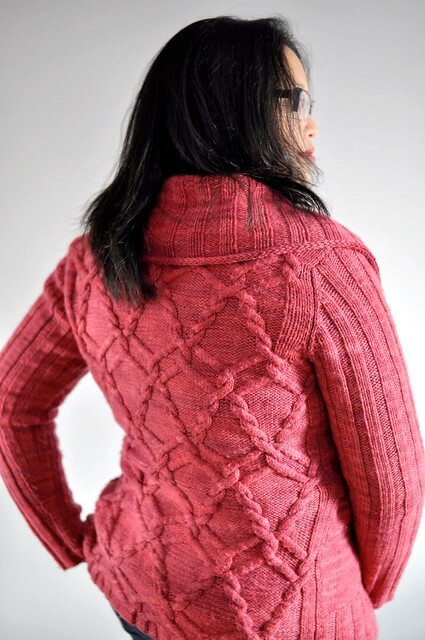 I usually wear it with the ribbing tucked inside, as shown. I think I want a new hat (or two) for this year though, something chunkier. Maybe lined with cashmere? So many ideas, so little time. I’ve been doing some pattern roundups on the Craftsy blog too! 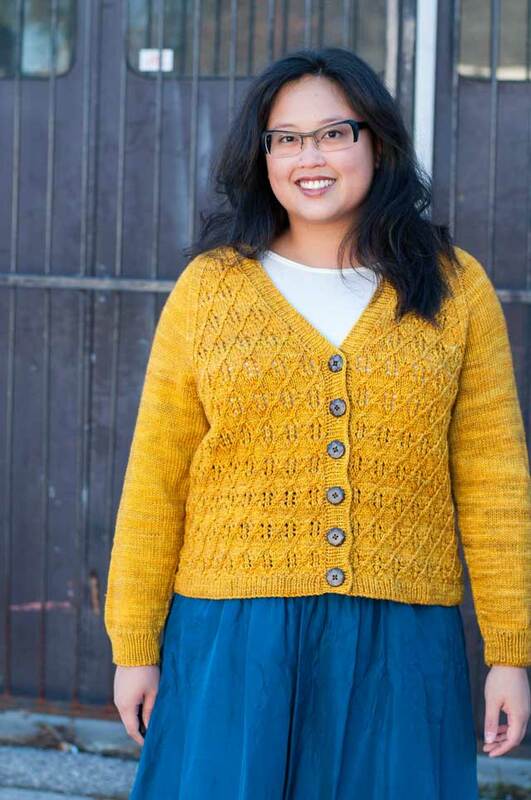 Check out Office Friendly Knitting Patterns and Cozy Oversized Cardigans for Fall for more wooly pattern inspiration! You can check out all my Craftsy posts here. Love all of them, especially the cabled cardigans.